Six Oxford players travelled down to Slough for the 20th Young Players’ Summer Festival, held over the weekend of June 23rd/24th. 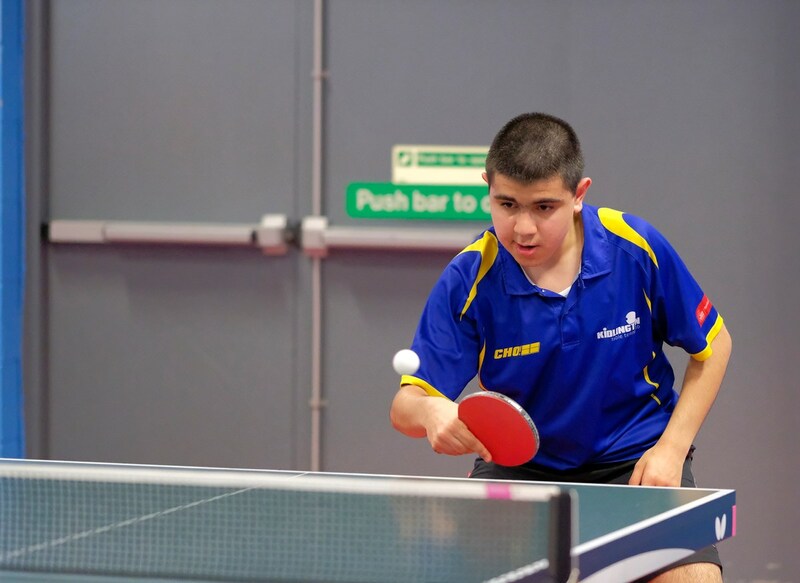 You can read a full report of the tournament on the Cippenham TTC website here. Louis Price, Bertie Kelly and Kirsty Maull were taking part, embellishing the whole competition with top ten quality, although only a one star event. 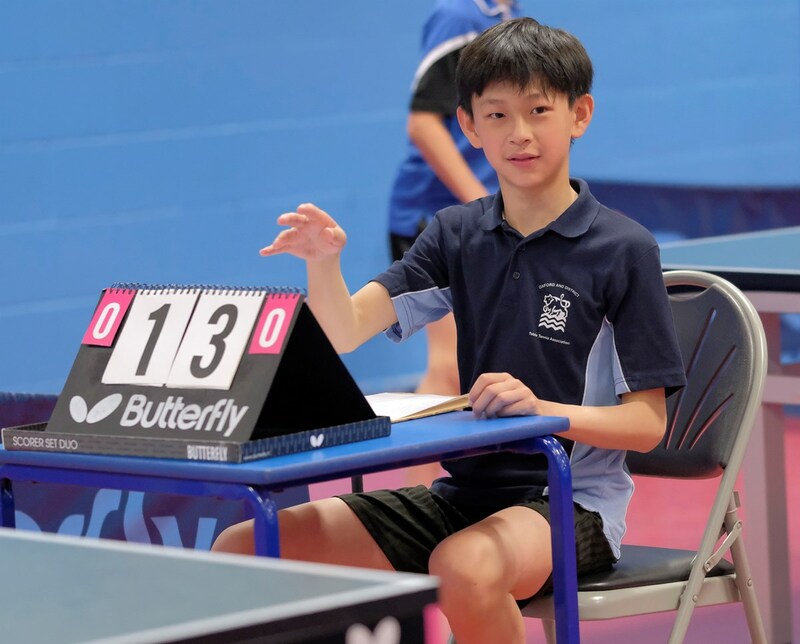 Three of the Oxford youngsters were coming from the other end of the spectrum, taking part in their first Open ranking tournament. For Aiden Mills (U14) it was his first foray outside Kidlington and he had to be content with winning a few games but no matches. 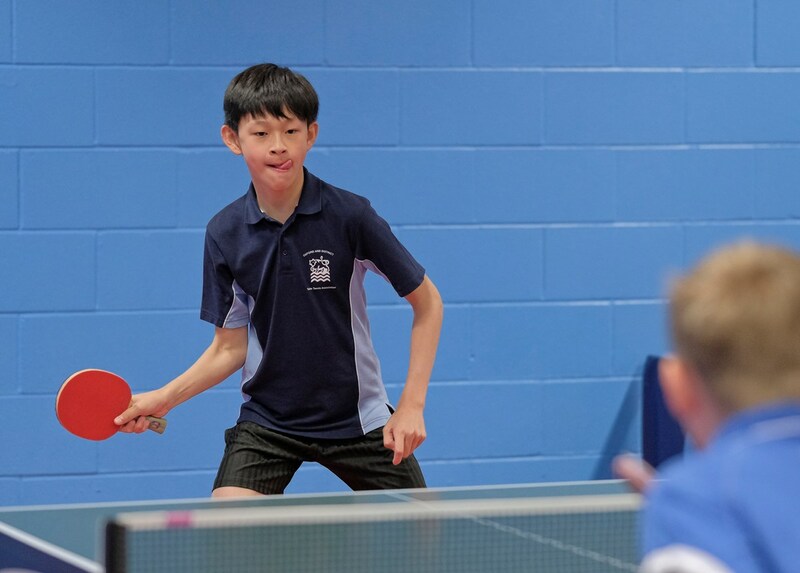 Morris Wong (U12) fared a little better, winning two matches. 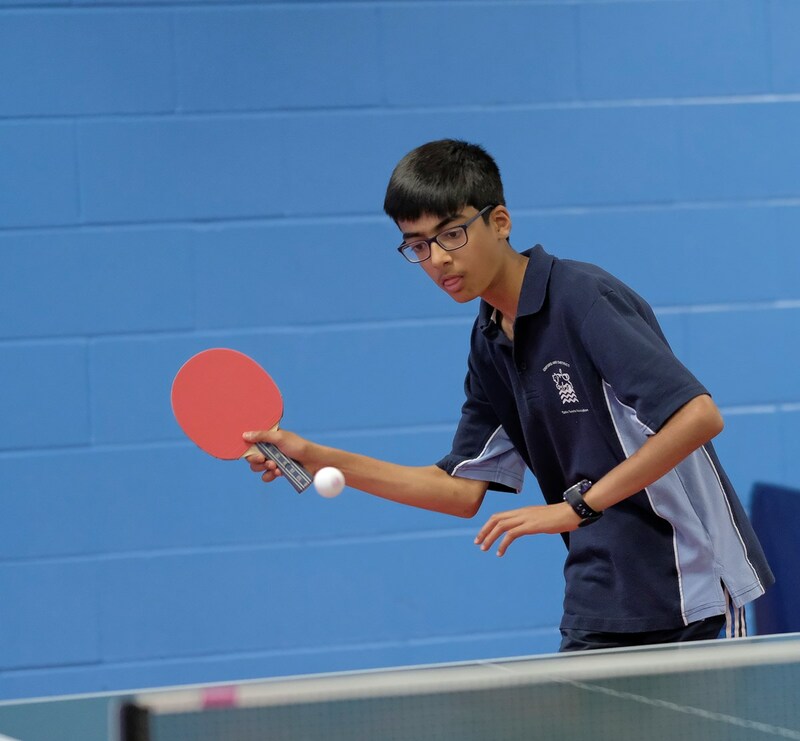 Defender Zain Ali (U14) found himself taking on the 4th ranked English cadet, Louis Price (Avon), and won only one match in his group, but progressed to the quarter-finals in the Consolation event, losing 11-8 in the 5th at that stage. Zain Ali played a fine match, going the distance in his U14 Consolation quarter-final. 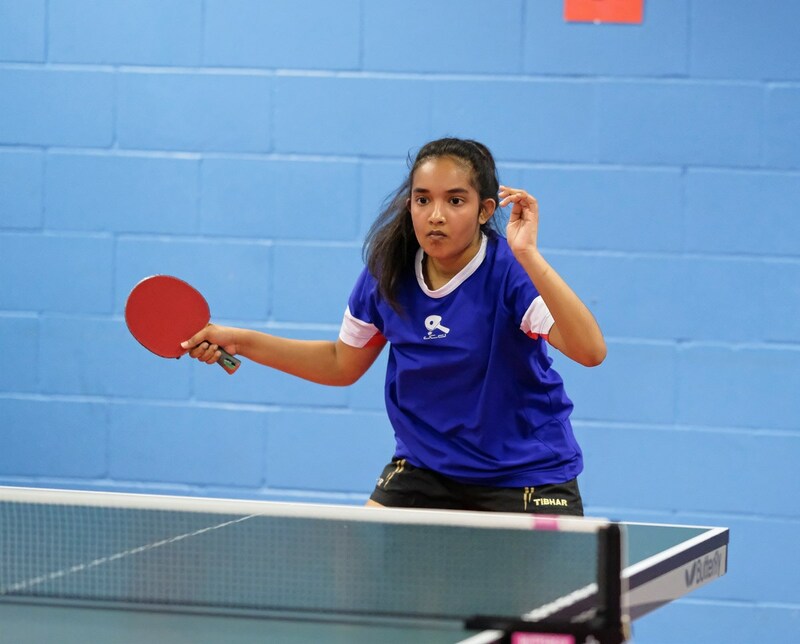 On the Sunday pride of place went to Bicester’s Christelle Rajapaksa, who along with Vicky Coll took part in the Junior Girls (U18) event, played as a round robin with six competitors. 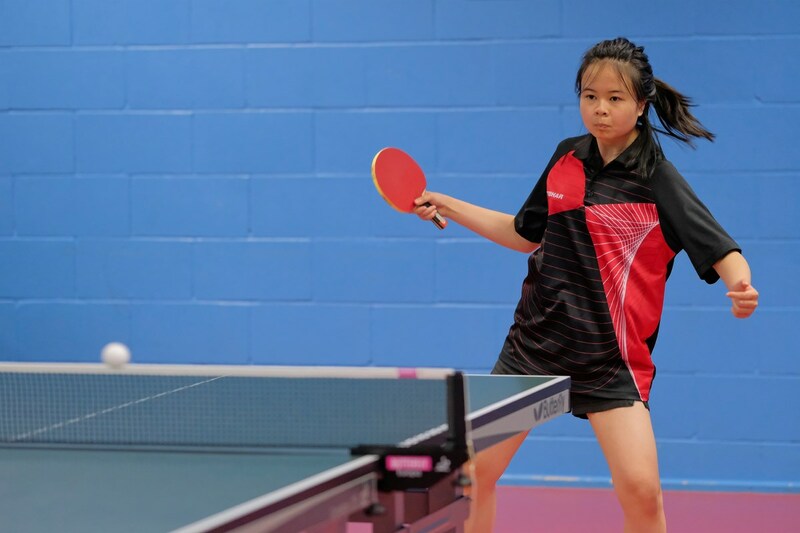 Christelle began her campaign against Kirsty Maull (Staffs), who is England’s 10th ranked cadet and had just won the Under 16s: Christelle was caught cold, but was able to step up her rapid counter-hitting to come out on top after losing the first two games. Next up was another redoubtable opponent in Isobella Khan (Avon) – this was again a desperately close match, but Christelle prevailed narrowly in the 5th. 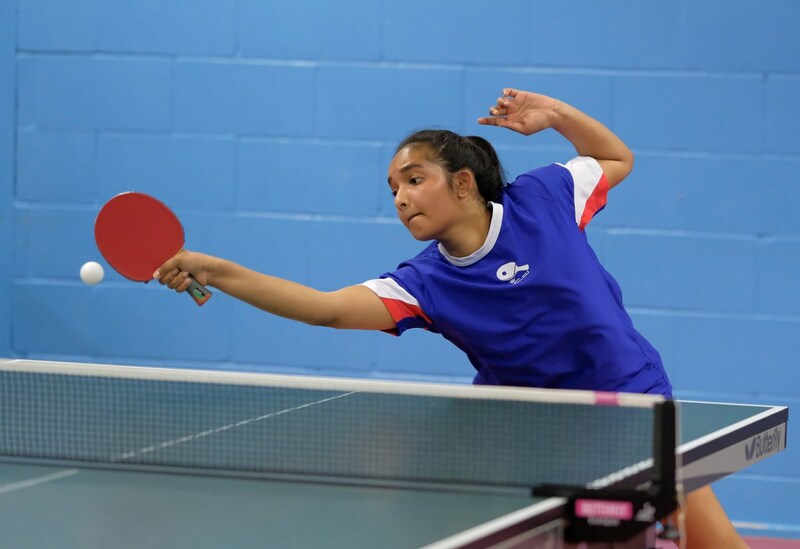 After easier victories over Anna Piercey (Berks) and Vicky Coll, she had to take on the Under 14 singles winner, Nadia Zoppos (Middx), with a borrowed bat, after her own handle had come apart. This proved to be a tricky assignment, but she got home in the 4th, just avoiding having to play a decider. This will be Christelle’s last event as a junior and she went out triumphantly. The statistics tell their own story: in the Under 18s Kirsty is ranked over 100 places above her and Isobella over 70. You can see some of her fierce intensity and athleticism in the shots taken below. 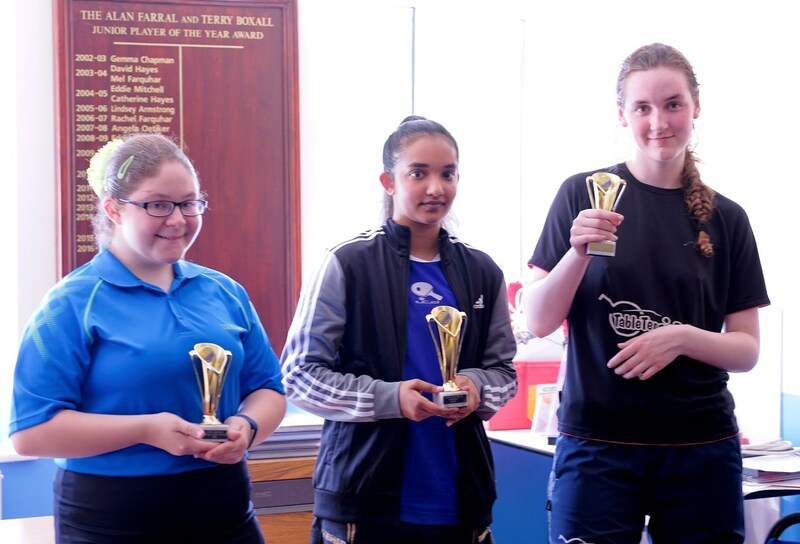 Junior Girls' Presentations, with Kirsty Maull (3rd) on the left and Isobella Khan (2nd) on the right of the winner, Christelle Rajapaksa (Bicester/Kidlington Forum). Vicky Coll played a fine match against Nadia Zoppos, losing narrowly in the 5th, but struggled thereafter with both her own form and the standard of her opponents, notching just one win over Anna Piercey (Berks) at 11-9 in the 5th. 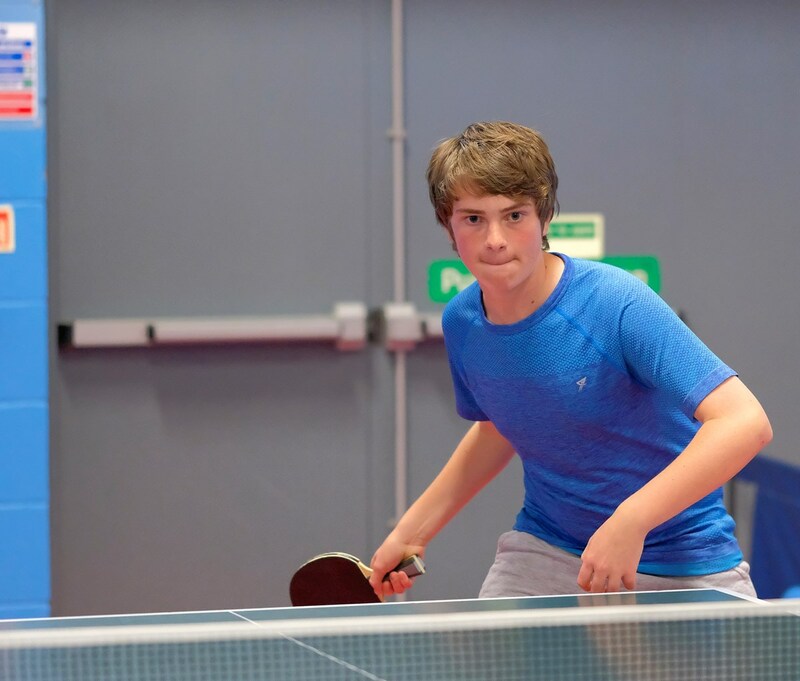 Kiarash Shaddel, emerging from his GCSE studies, lost two of his group matches in the Under 16s, but began to fire again in the Consolation event, defeating Jesse Bath (Essex) on his way to a final victory over Alex McDonnell (Surrey). He followed this up by qualifying for the main draw in the Under 18s, reaching the quarter-finals. 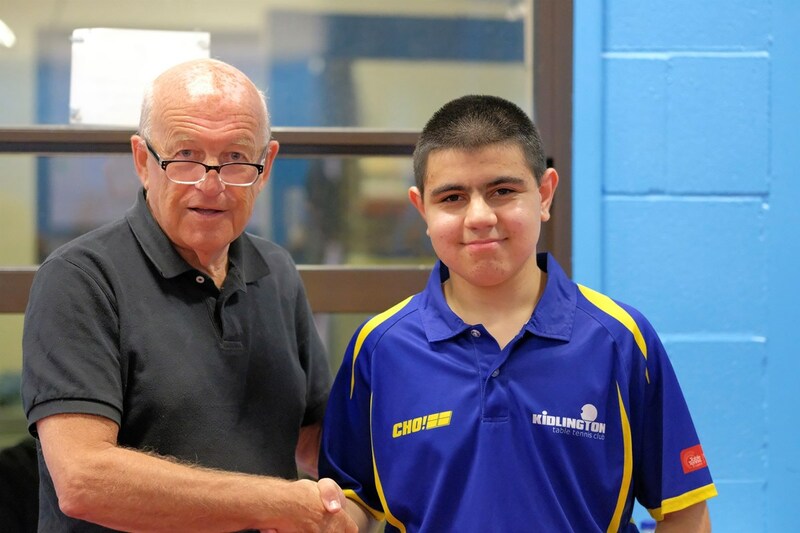 Kiarash Shaddel receives his Under 16 Consolation trophy from organiser and referee Ken Phillips. He went on to reach the quarter-finals in the Under 18s. Kiarash Shaddel leans into a BH drive.